KCDC Your Own Reaction CD Released! 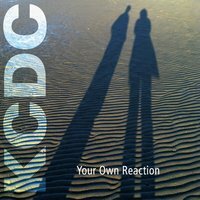 I'm pleased to announce that the KCDC "Your Own Reaction" Cd is now available worldwide, online via CDBaby, Amazon, etc.! We're proud of these songs and had a great time playing them live in Berkeley on Sunday. If you weren't at the show, I hope you'll take a listen and order a copy ...or two or three! Representing about two years of focused work, from the time Kwame and I challenged one another to co-write an album, to recording the basics of 10 songs at Lost Monkey Studio, to overdubbing, working out the vocal parts and the artwork, and mixing the tracks, the disc represents more than the production cycle: it's actually the result of about a century of combined experience of scribbling in notebooks, practicing scales, playingshows, etc. et. al. by the individuals that form the band and who helped produce the CD. When the box of KCDC Cds finally arrived on our doorstep a month or so back, we took one out and sat a moment with it, looking at the credits, awed and grateful for how much expertise came with each name (be it design, audio engineering, playing specific instruments, writing, listening) and the day-by-day process that led to a finished result. It was humbling to hold the finished product, a marker on the path that has taken us through all sorts of terrain of collaboration and consensus, and satisfying. We seen these songs through. On the surface, KCDC's debut CD "Your Own Reaction" is a guitar-driven batch of California-made roots music played by a veteran group of musicians who appreciate a good riff and an infectious beat. But really, the 10 songs on "Your Own Reaction" are about putting your heart on the line, surrendering to love and taking responsibility for your actions. It's meant for listeners who love real instruments and authentic writing; listeners who are seeking out truth and beauty in their lives and think this world deserves the best they've got. Recorded with band mates drummer Mike Stevens and bassist Andrew Gibson at Stevens’ Lost Monkey Studios in Hayward, CA, and co-produced by Crooks, Copeland and Stevens, the album is a truly collaborative effort. Mastering by Ken Lee; design by Harper Design Group. I'm feeling jazzed! 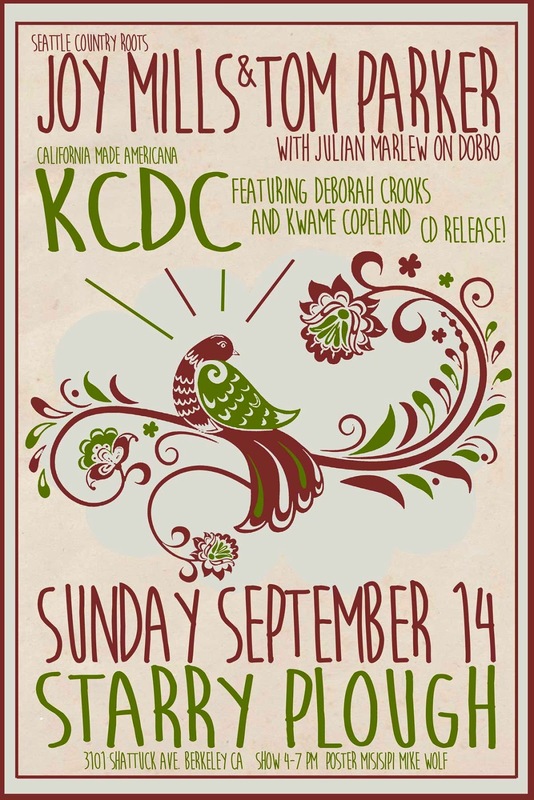 September is shaping up to be one of harvest in these parts as KCDC releases its debut CD and I play a slew of shows around the Bay Area in a variety of configurations (solo, duo, trio, full band!). 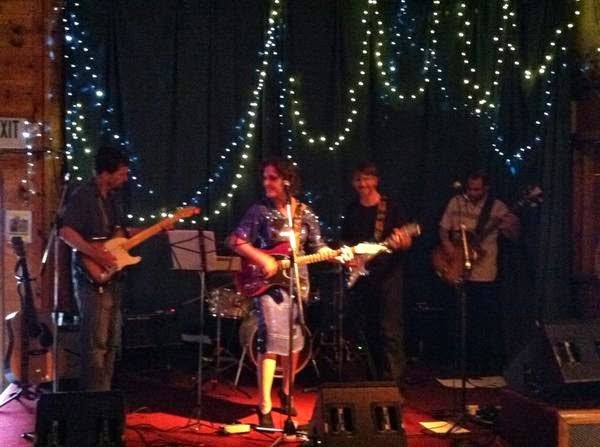 The big show of the month is the Your Own Reaction CD release on September 14, 2014 at The Starry Plough in Berkeley. Please come help celebrate this new recording, my collaborative, somewhat rock 'n roll project with Kwame Copeland. We had a great time putting these songs together, and are eager to share them with you! For the live show, we've bolstered the band with Steve Waters on guitar, Andrew Gibson on bass and Whitney Jacobson on drums to play songs from the CD (in addition to previews of new KCDC songs and material from our respective catalogs). 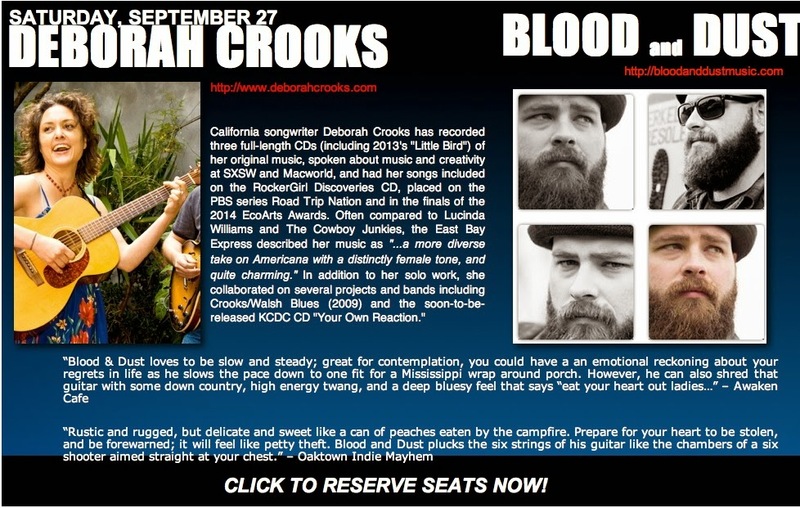 Plus we're sharing the show with Seattle's very cool alt-country/roots act Joy Mills & Tom Parker. I believe this show will be a hoot: It's free, all-ages, and early (4-7pm), the Starry Plough is an extremely convivial place to hear music and we'll have the new CDs (and other merch) available for you to take-home. All the details (as well as a preview of another KCDC tune 'What to Say') follow! KCDC Your Own Reaction review on Rootstime! KCDC gets some love from my friends at Rootstime. Hit Google Translate for help reading it and find some nice words including : "That the two musicians can create excellent songs prove them in abundance through songs like the ballads "Jesus And The Jedi", "Gone Missing," "Oh Oh" and "Love Some More", but also provided the uptempo charged and of handsome guitar riffs songs "Put Away the Year", "Sweep Out the Dust", "What To Say (Come Here)" and the album title track "Your Own Reaction". 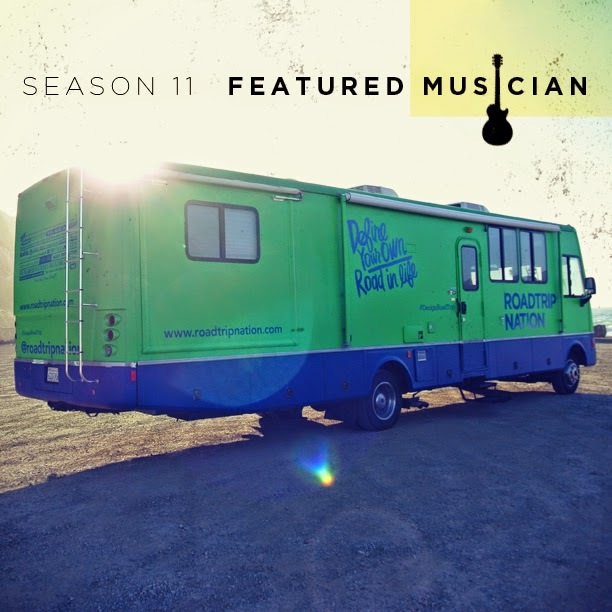 I'm pleased to be a featured musician on Season 11 of Roadtrip Nation! Roadtrip Productions and Bay Area station KQED will premiere Roadtrip Nation: Season Eleven September 6, 2014 but check your listings wherever you live. Roadtrip Nation is distributed through American Public Television to public television stations across the country. The weekly half-hour documentary series tracks the up-close and personal journeys of young adults as they travel the country interviewing inspiring leaders from all walks of life. My song 'Show Me' from the Little Bird CD can be heard in Episode 7. Was a nice treat to find Your Own Reaction got a spin on David Gans' KPFA show Dead to the World Last night. Was even cooler to find Box Set was the featured live guest and even more, that the playlist included songs from our pals The Secret Identities. Nice!